Your wristwatch shouldn’t be very complicated with numerous options like the ones we have featured in our collection of luxury watches. This model called Slip Watches, created by design studio from Brooklyn Nonlinear Studio, is very simple but at the same time extremely stylish. The face of the watches crosses the wrist band at 20 degrees. 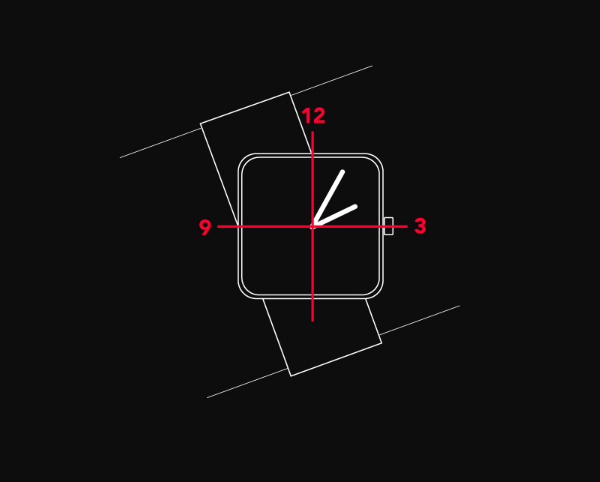 This inferred movement gives the watch its unique character and makes it more ergonomic to read. Very interesting and creative watches. And if you need something more – be sure to check 50 Best Black Watches for Men. it will be a bit hard to read the time in that position, except eventhough that timepiece rotate about 20degrees, but the pointer to tell the time not rotate too. where and how can we buy this watch ?